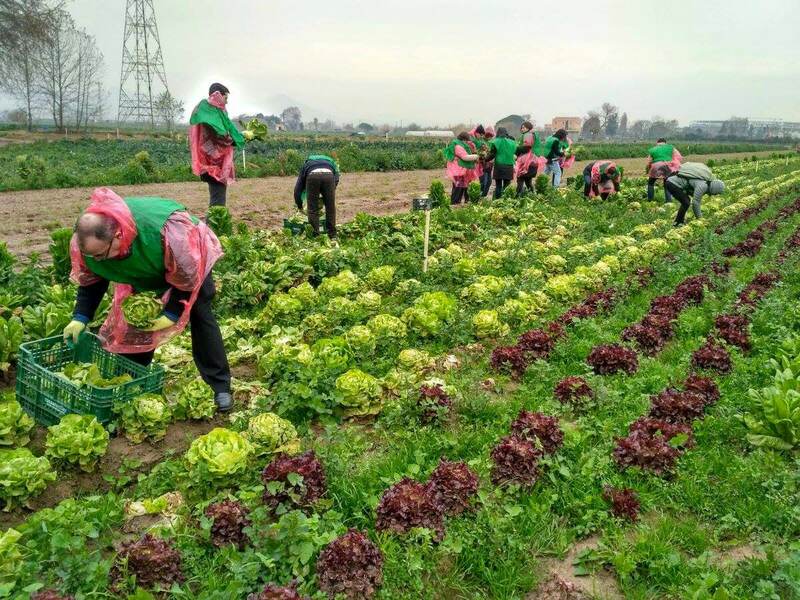 In Spain, the art of gleaning – harvesting farmers’ unwanted crops – is feeding the hungry and creating employment for the socially excluded, while also reducing pressure on land use, reducing CO2 emissions, conserving water, improving diets, and changing society’s perception of food waste. Espigoladors contributes to the wider goal of mitigating climate change by reducing waste in the food system. 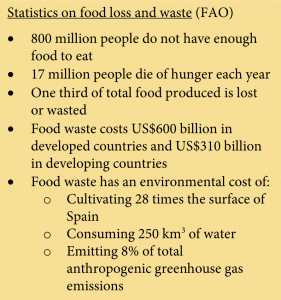 Discarded food emits more greenhouse gases than the resources wasted during production. Through Espigoladors, volunteers collect food left over from farms after harvest and redistribute it to food banks. They also keep a portion of the food to process into jams and sauces, which are sold in Spain’s grocery stores. The social enterprise targets people from low economic backgrounds and those at risk of social exclusion to participate in their gleaning activities, providing them with fresh food and work in the processing firm, while connecting them with nature and other gleaners. All of these activities restore the dignity and improve the well-being of the gleaners. As a result, over 900 volunteers have participated in recovering over 300 tons of food from over 50 producers. Through Espigoladors, citizens are learning that ugly foods are also edible. Processed foods are branded “I’m Imperfect,” thus sending the message that even that which looks bad is valuable (and tasty!). Reducing Spain’s food waste is lowering resource waste, feeding the hungry, creating employment, and reducing environmental costs related to land, water, and energy use. Educating citizens on food waste is an investment in healthier communities, more sustainable food systems, and a healthier planet. Finally, targeting the social excluded reduces inequality and offers a chance to boost resilience to economic instability. Annually, the United States wastes approximately 20% of the 100 billion pounds of food in the country. Yet there are 49 million people, including 16 million children, who are at risk of going hungry. By adopting a gleaning culture, the USA would not only reduce food waste, but also feed the hungry and create employment for those at risk of social exclusion. These efforts would also contribute to mitigating climate change. Work can be done to advocate for the inclusion of gleaning in US laws and policies. Lessons can be learned from France, where gleaning is a constitutional right, and Spain, where gleaning is a long tradition that dignifies the poor and communal food preparation. A National Gleaning Project at the Vermont Law School focuses on the legal barriers to gleaning of fresh food in the United States, and has recently documented some models of success. As depicted in The Gleaners & I documentary, gleaning brings to life resources and people that have been left behind. This practice can also be applied to other aspects of our lives, as it encourages valuing even that which is considered waste, ugly, or spoiled. 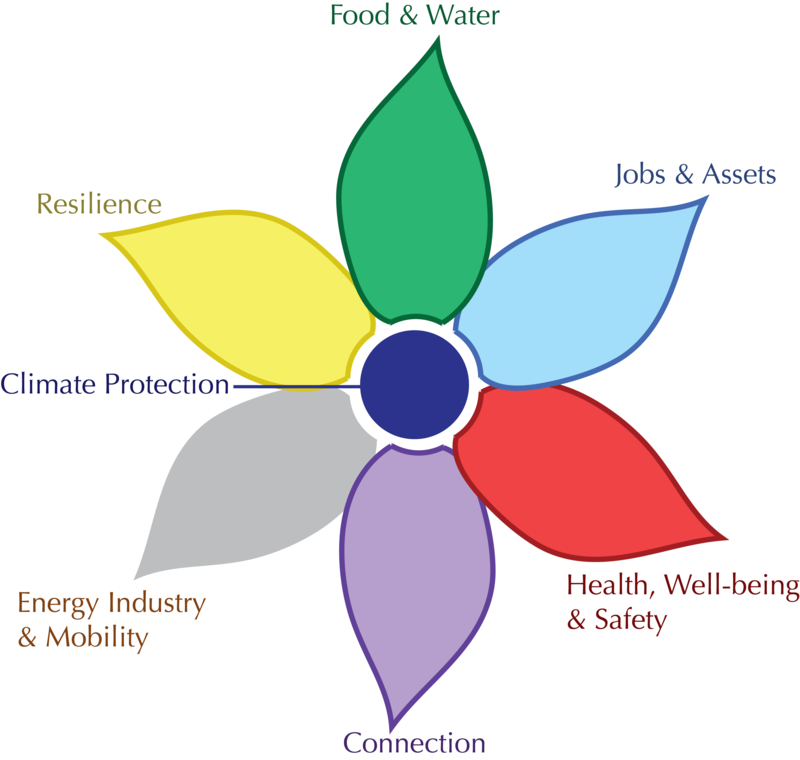 Espigoladors’ FLOWER diagram is comprised of the food and water petal, jobs and assets petal, health and well-being petal, connections petal, and resilience petal. 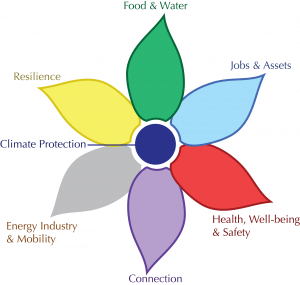 For similar case studies, read our new report, Multisolving at the Intersection of Health and Climate: Lessons From Success Stories.